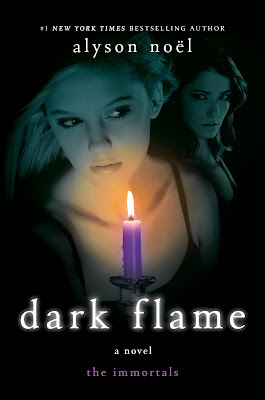 Alyson Noel posted the cover to Dark Flame, the fourth book in her young adult Immortals series. 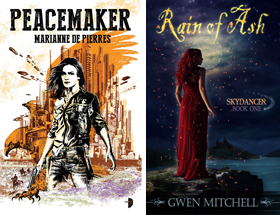 The book releases in June. The most recent book Shadowland was released just prior to December. In this eagerly awaited continuation of the bestselling "Immortals" series, Ever struggles to help her best friend Haven transition into life as an immortal—trying to keep her from doing anything that puts them at risk, while attempting to gain control over her enemy Roman, so she can finally obtain the antidote that will allow her and Damen to be together. But when the spell she casts backfires, resulting in a strange, foreign pulse that binds her to Roman instead, Ever turns to Jude and dark magick, desperately attempting to break free of the curse, and ultimately risking everything she knows and loves—including her beloved Damen. Best cover for the series yet by Noel, thank for sharing Doug always a pleasure to stop by and see the neat posts and reviews! !